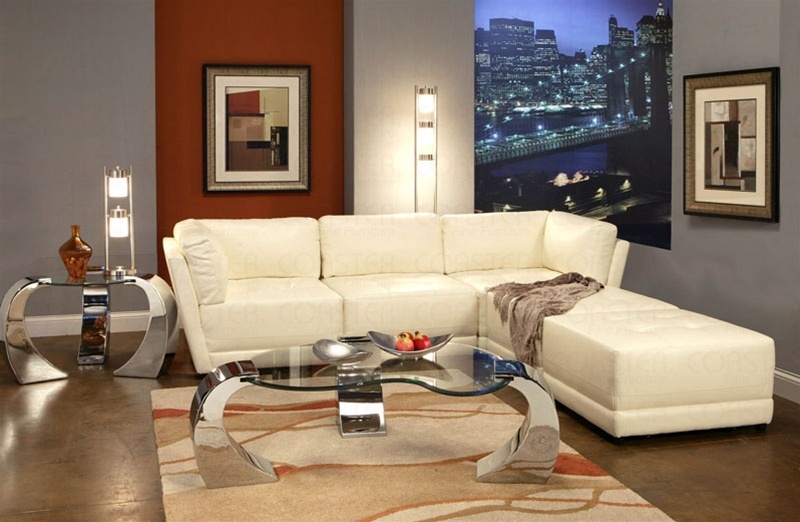 This contemporary modular group is 100% white bonded leather. It is constructed of hardwood frame, sinuous spring and filled with standard foam. Polyester fiber full back. Also available occasional table set. 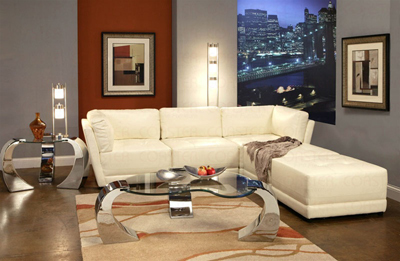 Beveled kidney shaped glass occasional table with chrome plated legs with matching end table and sofa table.